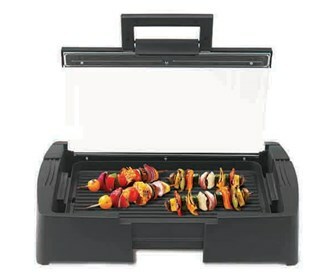 The NESCO GRG-1000 is a 1300-Watt Electric Grill with Glass Lid and a 17 in. x 14 in. ribbed cooking surface. The grill becomes an oven with the lid closed. The food can be grilled, cooked or just kept warm inside the grill. The premium nonstick interior makes easy cleanup. The adjustable temperature control is easy to read, and the tray catches grease. 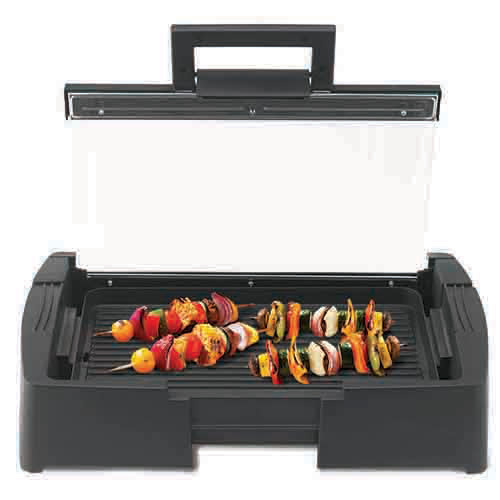 The Nesco Grill With Glass Lid has many exciting features for users of all types. See the Nesco Grill With Glass Lid gallery images above for more product views. The Nesco Grill With Glass Lid is sold as a Brand New Unopened Item.